NBA players who showed more signs of gang affiliation than hand gestures after a made shot. 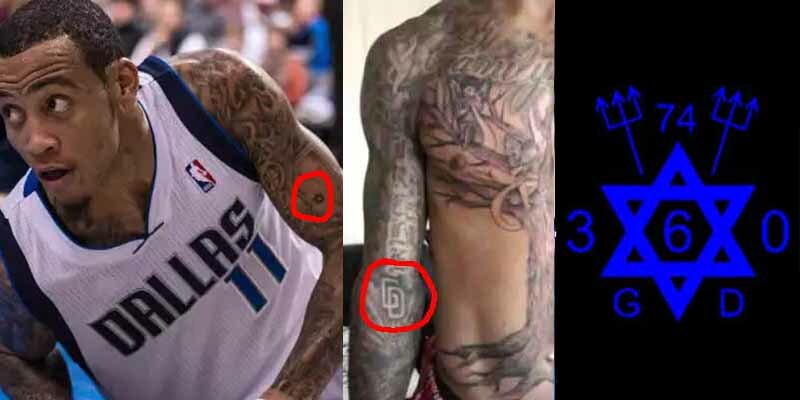 Monta Ellis has GD tattooed on his right arm and a 6-pointed star on his left. These are very likely references to the Gangster Disciples, a criminal gang that originated in south Chicago in the 1960s and is active in Monta’s native Mississippi. The 6-pointed star represents the gang’s principles – love, life, loyalty, knowledge, wisdom, understanding.